Here’s a fantastic, heavy, extraordinary 374-page book whose ten chapters chart the designer Ian ‘Swifty’ Swift’s development through family tragedy, art school, 1980s style magazines and the jazz-dance subculture that flowered in the 1990s, right up to his recent work, including myriad logotypes, bespoke skateboards, 3D assemblages and vinyl. The hard orange cover glows with its rhythmic title, and endpapers are packed with faux logos – variations on the designer’s nickname, including ‘Swifto SPARKLING’, ‘Swifty Jazz Fest’, ‘Swifts Crisps Salt’n’Shaker’ and ‘SwiftCola’, floating like planktons in orange sea-water. Ian Swift’s graphics (or ‘grafix’) helped define and market a cultural scene that coalesced around Sundays at Dingwalls in Camden in the late 1980s and early 90s. On the decks, young DJs Gilles Peterson and Patrick Forge set off the music while dance trio IDJ showed acrobatic moves that echoed the styles of 1930s Harlem. 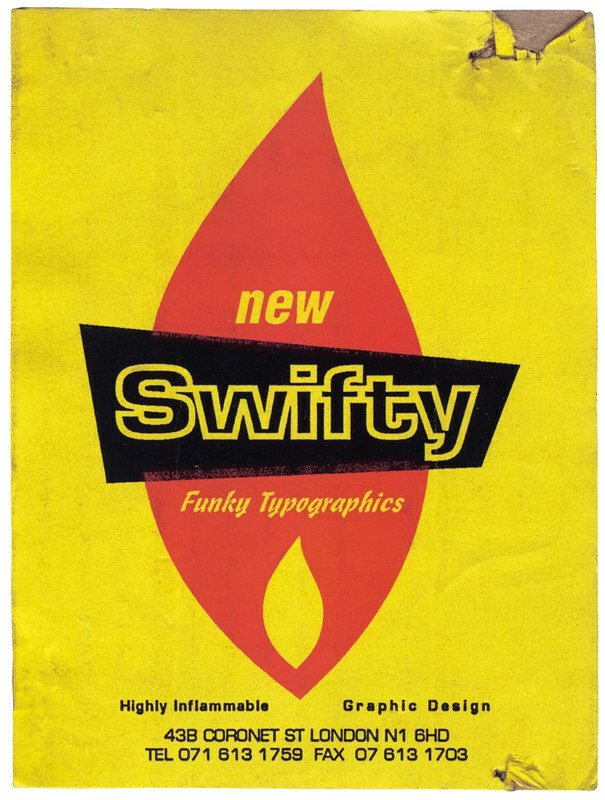 When Paul Bradshaw’s Straight No Chaser (soon to be re-launched) documented the emergence of a new jazz dance scene, Swifty was its art director, and for a while, Dingwalls was the coolest place to be. While Swift was a student at Manchester School of Art he took over Fresh magazine from David Crow, used his first Apple Mac and completed a work placement at Malcolm Garrett’s Assorted iMaGes studio. He served an ‘intense apprenticeship’ with Neville Brody at The Face and Arena, and took over the art direction of Straight No Chaser (SNC) in 1989 – his first issue was a beauty featuring singer Cassandra Wilson on the cover. The following year, Swift set up his own studio alongside Bradshaw in Coronet Street, in Hoxton, East London. Swift’s visibility rose as other music business jobs came along: club flyers, Gilles Peterson’s Talking Loud label and its artists including Young Disciples and Incognito, Island Records’ 4th and Broadway label and Mo’Wax. In the words of Swift’s one-time assistant Ebon Heath, the Coronet Street building was ‘not just a studio but a scene’, referring to the enthusiastic mix of residents and visitors, printers, designers, writers, painters and entrepreneurial neighbours such as radio production company Somethin’ Else (another client for Swift’s identity designs). 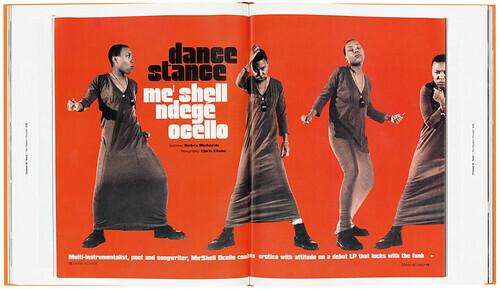 The opening spread for a 1994 interview with Me’shell Ndegéocello in Straight No Chaser, ‘the magazine of world jazz jive’, art directed by Ian Swift using photographs by Chris Clunn. 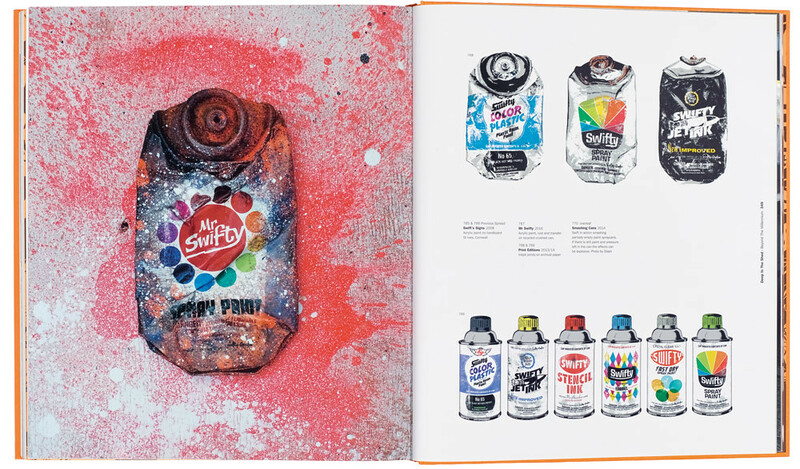 Top: Smashed spray cans and a print edition of cans, 2013-2014. His music designs embraced the launch of Peterson’s Brownswood label and Far Out Recordings devised by Brazilian music guru Joe Davis. SNC celebrated its fifth anniversary with Swift’s new ‘global’ logo and redesign: a striking spread from 1994 shows Baaba Maal in a billowing boubou robe against big blue type. In 1995 Fred Deakin (later to found Airside) joined the studio, and the pair relocated to west London, sharing a space that became known as Studio Babylon. A project for Foster’s Ice took Swift’s operation to a new level. He art directed a ‘billboard graffiti’ project for the drinks company, recruiting street artists Futura 2000 and Req – as well as friends such as Ian Wright, Cornel Windlin, David Crow and The Designers Republic – to make massive, eye-catching ads. The smashed ice image for Swift’s own artwork was actually created in his fridge and cracked with a hammer; the final artwork was tiled from 294 A3 laser copies. The latter part of the book follows Swift’s continued work with music clients old and new, including Blue Note, MELT 2000 and Osaka-based Especial. Moving into a new studio in Ealing, he designed street/skate wear for the Addict label, did TV graphics (Peep Show, etc.) and made 2D and 3D artworks to exhibit and sell. 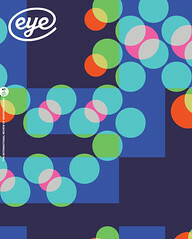 Cover from Swifty: Funky Typo Grafix.